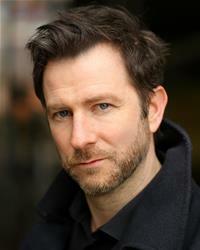 Brook’s TV roles include ‘PC Mansfield’ in SILENT WITNESS and ‘James Morris’ in DOCTORS both for the BBC . His Theatre roles include ‘Ricky Maynard’ in PROPERTY for Chicken Shack, ‘Richard’ in Alan Ayckbourn’s JOKING APART at The Mill at Sonning, U/S Smithers in THE EMPEROR JONES at the National Theatre, the two-hander ACQUAINTANCES at the Pleasance Theatre and ‘Mordant’ in SUN AND HEIR for the Royal Opera House. Other Television roles include guest roles in PERFECT PARENTS for ITV, LOVE VIRTUALLY for C4 and ‘Billy’ in the highly acclaimed police drama GHOST SQUAD for C4. On Film. ‘Dan’ in DAN & ALICE , a ‘Reporter’ in MY WEEK WITH MARILYN for Trademark Pictures, and ‘Matt’ in LEADS AND FOLLOWS for Systir Productions.